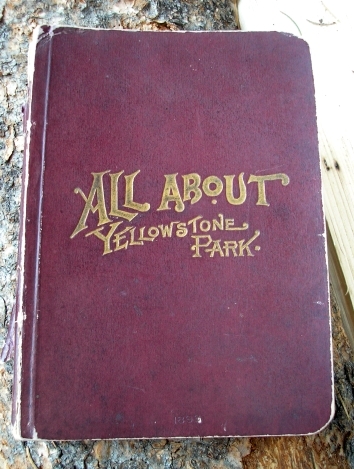 Rare first edition of a Haynes guidebook "All About Yellowstone Park". 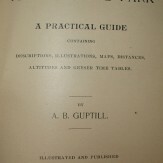 The book has a maroon cover with gold lettering. 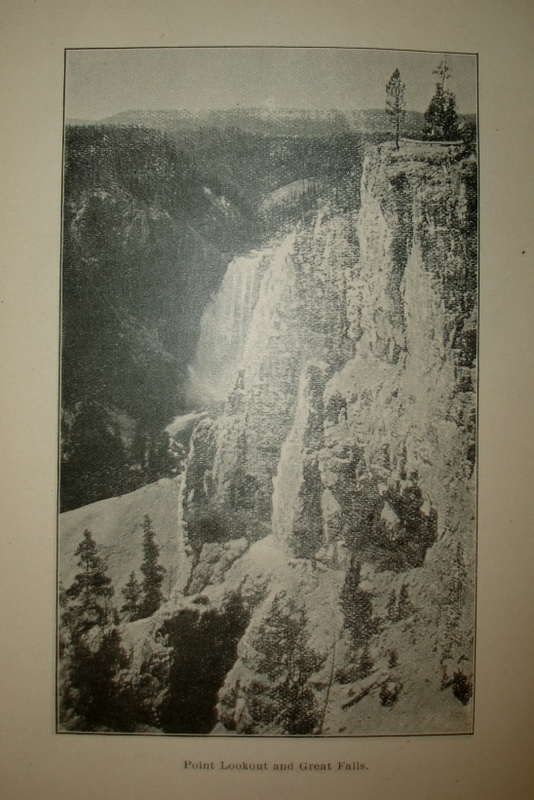 The spine is dessicated and missing its top portion, but the balance of book is intact and in good condition. 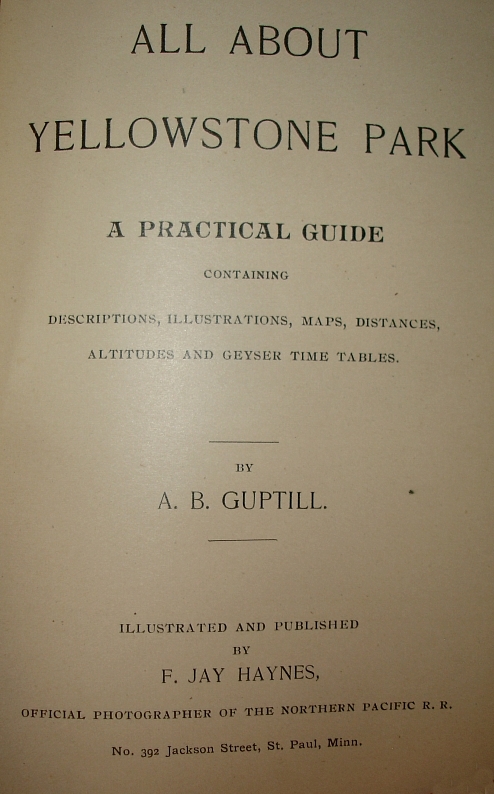 There is much written information by Guptill, and it's illustrated throughout with black and white photos, and a fold-out map in back. 125 pages. 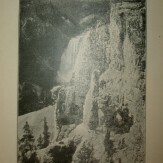 Size: 6.75" High x 4.5" Wide.